Choose Slidell Dental Implants Dentistry at Robert J. Rooney, D.D.S. For the bright and beautiful smile you've always dreamed of, dental implants from Slidell dentist Dr. Rooney may be the answer. Soon you'll be able to eat, speak and laugh with freedom and confidence again. Over time teeth can be destroyed by decay, disease, injury, or grinding. A tooth implant can provide a permanent solution to these unsightly and uncomfortable problems, but it's not necessarily the right choice for everyone. First, our office will refer you to a local specialist who will surgically implant a small metal cylinder into your jawbone. Once that's healed, Dr. Rooney will design and place a new porcelain crown on the anchor. Your new implant will look just like it's one of your natural teeth. Don't let your worries about the cost of dental implants stop you from considering this beautiful, permanent, natural-looking alternative to dentures or a dental bridge. Our friendly staff at Robert J. Rooney, D.D.S. can show you a range of affordable financial options to fit your budget. 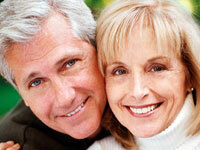 For more details on the benefits of tooth implant dentistry just call Robert J. Rooney, D.D.S. 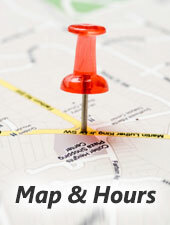 at (985) 641-6607 or stop in to arrange for a consultation.